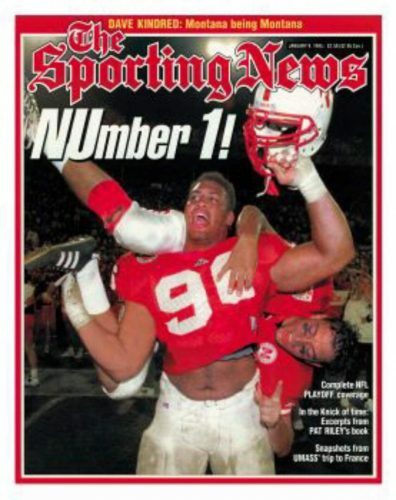 Wrapping up this “how it all happened” portion of this concluding chapter, we’ll end with a few thoughts, theories, summaries, and short statements about the “system” that comprised Nebraska Football during the Great 60 & 3. 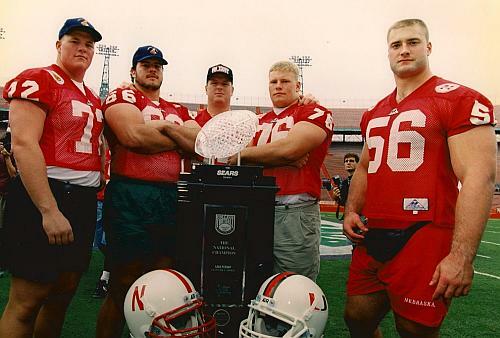 And at Nebraska, being around someone of such great character, it’s hard not to be successful when you’re around successful, character people. 2) The other thing was just the value of teamwork, you know? The whole idea that, if you can do it yourself your goal is too small. Basically, when you’re willing to give up and willing to do what’s best for the team, how much more you can accomplish as a team. If your goal is for team success and not for personal accolades, it’s amazing what you can accomplish. I think we just had superior character on that team. My class saw the extreme ends of how things could be. 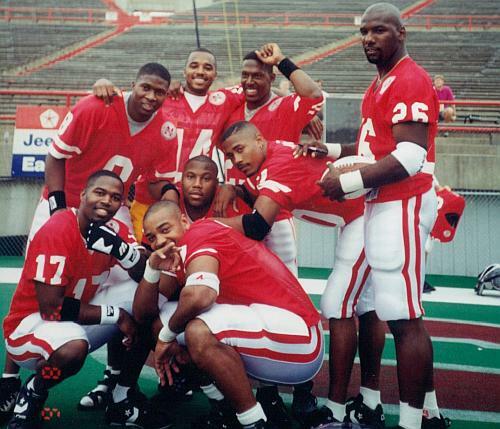 In 90’-91 we were getting beat pretty bad in bowl games, the national columnists and Sports Illustrated were writing things like “Loser in Lincoln” and they showed (a photo of) T.O. running on the field, you know? 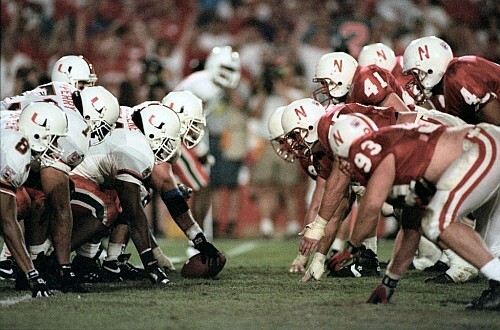 People were pretty hard on Nebraska. 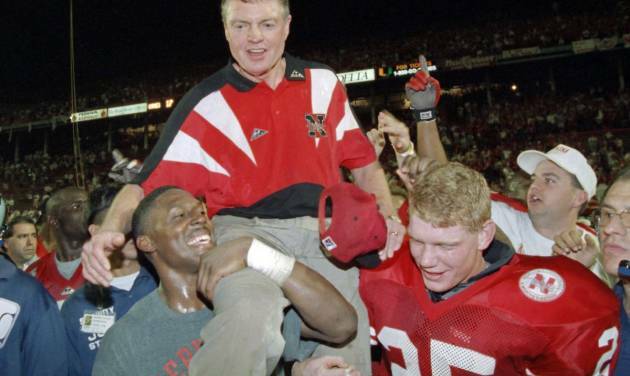 We couldn’t kind of get over the top; we’d get beat pretty badly in bowl games. So there was a kind of psyche that had to get beat into our heads as far as how we were going to get things done. Things like what the coaches did on defense: I think they got the right group of guys together. Everything was laid out. The structure they had in place was incredible. And it was very detailed, from early on in the morning to the end of the night, especially during football season and two-a-days. Just the whole structure of the athletic football program was amazing. …When I first got there I didn’t really know what to expect, but they had it all in place and they had pretty much what our schedule would be like and you just take it one day at a time and learn the ins and outs and the nuances. 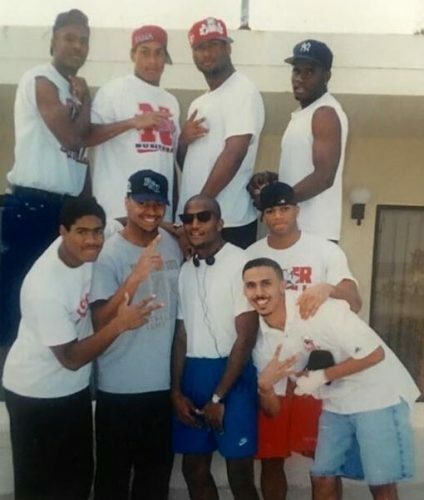 …if you were an all-star or just walking-on there and looking for a chance to compete, you felt like you were part of a family. The way things were done were very systematic. Things were done with excellence: the way you carried yourself, the way you practiced, the way that you prepared. There was a culture of excellence, a culture of high expectations, a culture that mediocrity would not be tolerated. And you know as a strength coach in the weightroom, in the meeting room or on the practice field, there was a way to get things done. You were not only accountable to your coaches, but you were accountable to your teammates. So there was accountability on all levels. 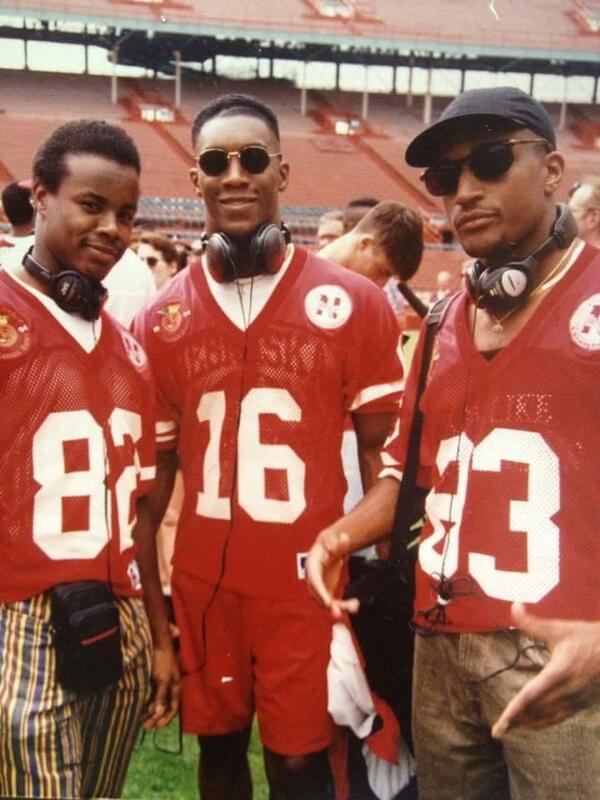 …we were smart football players. Across the board -of course, you had a couple knuckleheads in there- but across the board Coach Osborne recruited smart guys. Guys were smart, but they were also physical. You know, football is a tough sport. 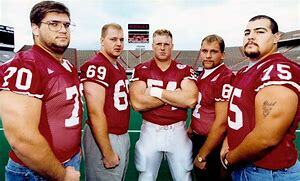 With some of the vanilla offenses we see in football in this era, you have to get back to understanding that football is a physical sport and you want the other teams to know that you were the most physical team that they ever played against. When you go out there and express the dominance against an opponent and hit them in the mouth every single play, play after play after play after play, it’s gonna demoralize them. They’ll eventually break…And you can’t take away a guy’s heart. You’ve got to have heart when you play football, you’ve got to be physical and pay attention to detail. You don’t need to try to make the game confusing. You don’t need to reinvent the wheel. You have to let the players play. Charlie and Tony were big advocates of that. Less is more. If you wanted to play fast you better not burden them down mentally. And one other thing even more important than the x’s and o’s, it is the trust and relationship part of it, and mutual respect between the coaches and players. Nobody really ever raised their voice -except Charlie a few times- over the years. 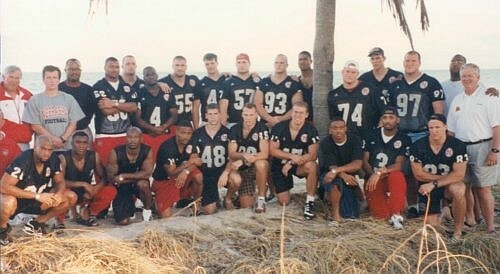 The ultimate thing, I think, was the great relationships there and the total trust between players and coaches. It‘s hard to explain. If you weren’t there, it’s hard to explain it. If you called a meeting for 3 o’clock, everybody knew that by 2:30 you were supposed to be there. Everyone knew come game time you were going to win. You didn’t have to say it, everybody knew it already, it was just by how many points.”How many points are we gonna win by?” We prepared hard enough, we stayed together, we played for each other. We could be down, losing in some game, but we’d be calm on the sidelines, knowing sooner or later we were going to blow these guys out. We didn’t panic. 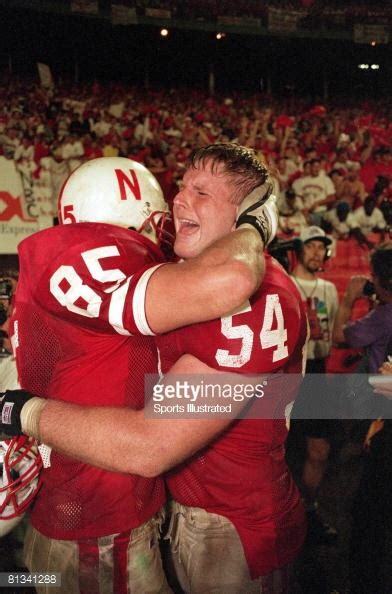 We just knew that we’d win and then go back to Lincoln and relax. I just think it was a culmination of all things that are good and true about the concept of being a team, from the coaching staff all the way down to the trainer and the managers, it was just the most incredible thing. All the way down to Jack Stark, a guy who never did receive the credit that he deserves for all he did with our team. Everybody was on the exact same page, yet it was fun, it was exciting. 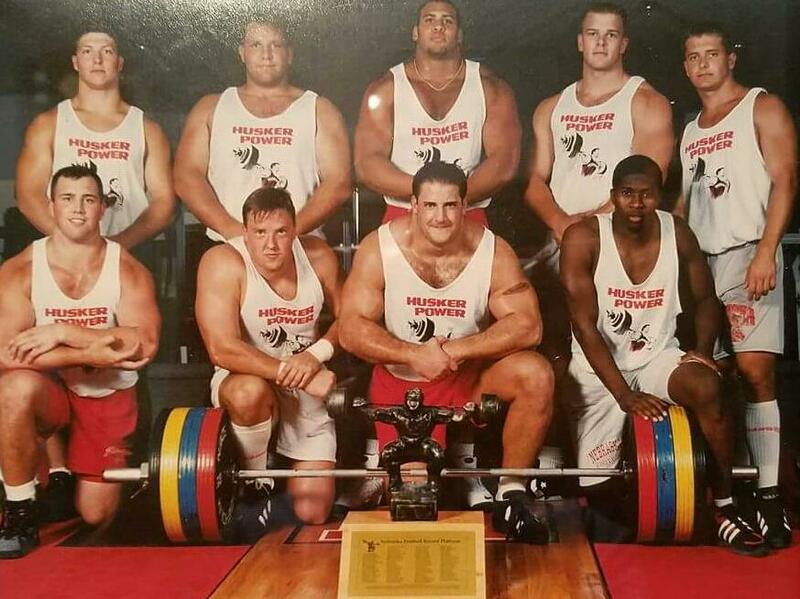 I think you could have measured the level of focus that we had in those teams, specifically in ‘94 and ‘95. If you were fortunate enough to go witness a practice during those years you would have been in for a first class treat to watch those groups on our team and how hard we worked to achieve our goals. There were no shortcuts, no easy ways to do it. We worked extremely hard, we worked very well together, we had enough people who were really, really willing to absolutely put it all on the line. 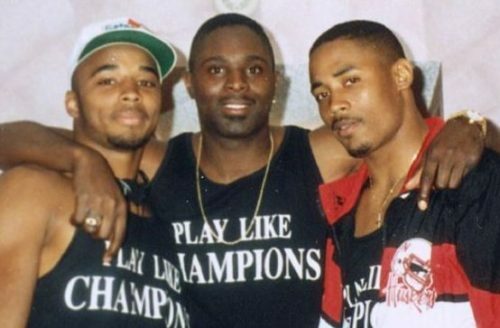 We saw all that success because we were a force that couldn’t be stopped. “We are hard-nosed. We are hard-nosed on both sides of the ball, and especially on special teams. We will tear you about and beat you up. We will physically abuse you and mentally abuse you.” …The whole thing comes down to two words: drive and belief. Because a lot of us come from places where people just didn’t believe in what we could do, and once we did hit those goals then they’d become jealous because we’ve already outdone what they thought we could do… that whole team, the one thing is that we never gave up on each other. And we always knew that we could go further and we never cut ourselves short… It comes down to drive and believing in your nucleus. Because when the world is against you, all you have is your family… As diverse as our group was, we were a family and we believed in each other. And had we not done what we did, it would have been a failure. 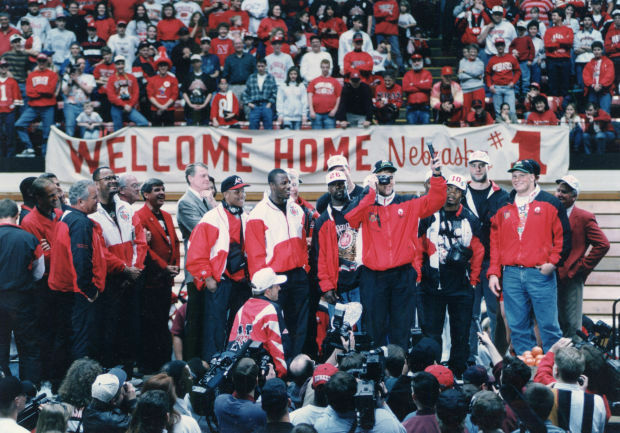 All of us came to the point where failure wasn’t an option for us, we were not going to let that become the status quo at our university …as immature as some people thought our class was, we were mature about winning. We had a great time. 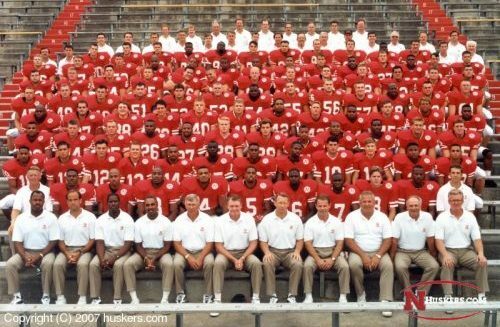 I think we were one of the first classes that Tom Osborne had that was really just full of knuckleheads. (laughs) But I think it was a challenge for him, as well as for us. And it all made us better. It was a ball. So there you have it: the How of the Great 60 & 3, the progression of both the concrete and abstract acting one upon another within the petri dish of a familial sports environment that led to the greatest run of college football dominance in over half a century. It all happened at the prairie state’s only land-grant institution, a university campus in the capital city of Lincoln, Nebraska. Offering more than 100 degree programs and comprising nine academic colleges: Agriculture, Architecture, Arts and Sciences, Business Administration, Engineering and Technology, Human Resources and Family Science, Journalism and Mass Communications, Teachers College, & Fine and Performing Arts, plus the Graduate College and College of Law, the student enrollment hovered around 25,000 students at the time. 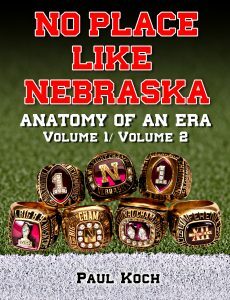 And the University of Nebraska-Lincoln student-athletes boasted a graduation rate of approximately 85 percent, a figure ranking them at 6th place in the College Football Association member schools and even above that of the general University of Nebraska student population. 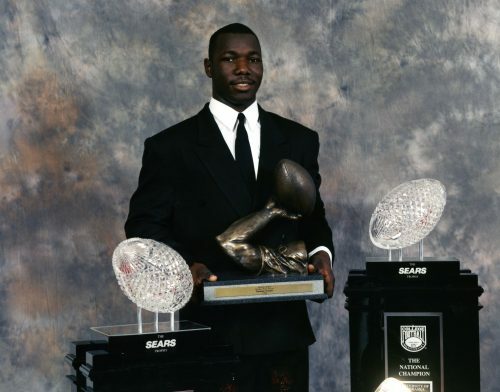 This was no “football factory,” per se, where participation in and completion of eligibility for the sport was the ‘be all, end all’, that a disregard for educational advancement existed by and because of a focus on the sport at the expense of all else. No, you should banish that thought. This myth was far removed from the reality of the day and should be tossed aside to the ash heap of history. 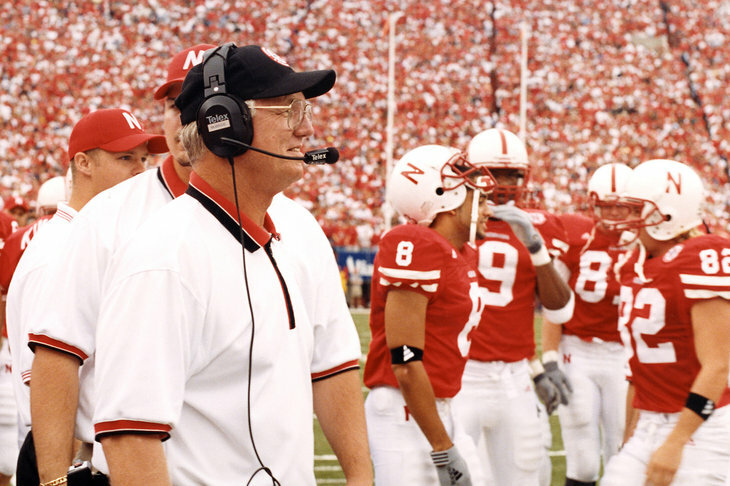 Bottom line: Nebraska not only won, but it won the right way, with high-minded, altruistic and bedrock guiding principles. In going about winning with class and holding to high-minded educational ideals, the final result we’ve studied so intently should give every man and woman involved in that grand adventure a soothing, comforting pause, a proud swelling in the bosom, a concrete and integrity-bound hook to hang one’s hat on at the end of a day and maybe even at the end of a life well-lived. Obtainment of this knowledge is the beginning of a lasting and meaningful and right-proportioned pride; not one in which to boast of personal accomplishments only, but in the revelry of being and playing a part in it all, of filling a need, exercising a talent, yearning to be a part of something greater than oneself and coming out on top as a unified front, a bona fide team. T-E-A-M. That is the essence of the flame of desire that dwells in the heart of every natural born woman and man. In trusting the process, beholding the beliefs they did and the manner in which they achieved success, theirs’ was a victors’ glorious triumph time and again. For this I both honor and revere and fondly remember all who played a part in it, and I hope you do as well. 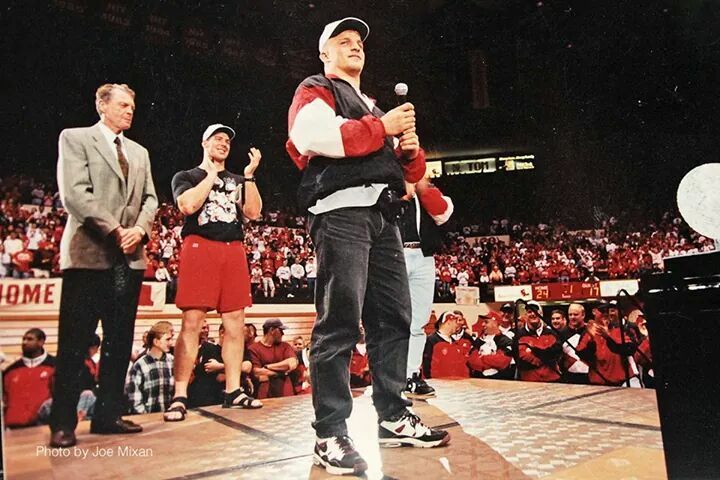 We finish up tomorrow….with one last surprise as to HOW greatness happened.